Setting aside time, whether it's once a day or once a week, to eat healthy, homemade food surrounded by family and friends is one of the most enjoyable, and important, parts of life. However, these occasions are becoming rarer and rarer in our modern, busy lives. People want to cook - there's no doubt about it. But actually finding the time to make something from scratch and then scheduling around everyone's hectic lives are real struggles. 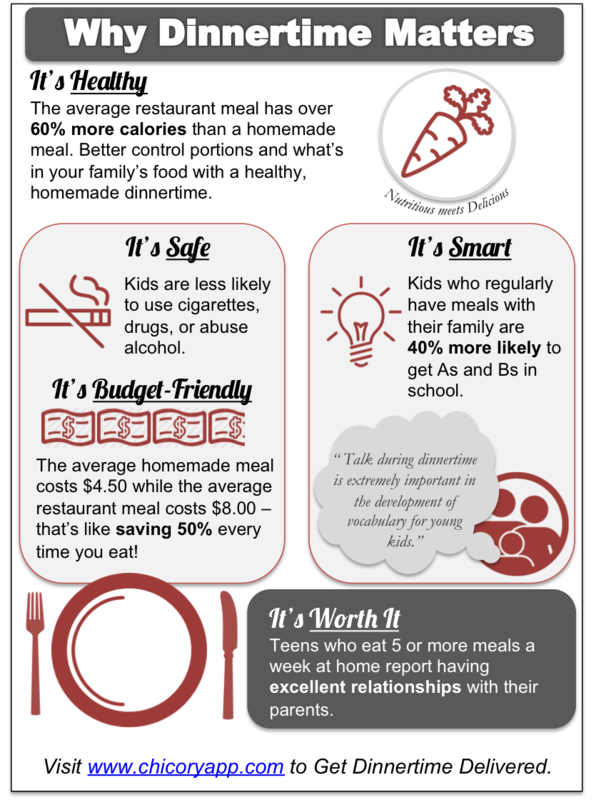 Here are some of the top reasons that we believe it's important now and a again to slow down, take a deep breath and find a little time to make dinnertime matter. Need help with dinnertime? Get updates from us!